You guys know how I love supporting small handmade businesses, well Dorothea's Design takes it one step further! It's actually an eco-friendly shop, which sells items made from biodegradable fabrics and sometimes repurposed fabrics. Dorothea is passionate about being eco-friendly so tries not to use metal parts and lots of her items are wipe-clean so no energy is wasted using the washing machine! 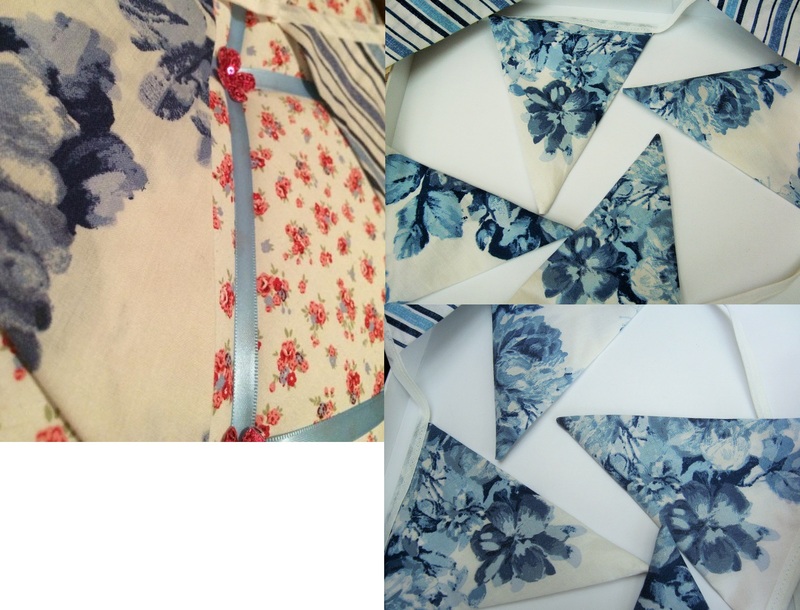 Now we've got some background on Dorothea's business, let's have a look at my cute bunting! Here it is! As you can see, the fabric is of fairly unique design, I've never seen bunting like this before. It's very well made and straightly sewn. I love how she's managed to get each flag to have a substantial amount of the flower design on there, it looks really beautiful and I know it can be challenging to work with fabric which doesn't have a constant repeated design. Dorothea actually offered to customise it for me if I required which was really good of her so do give her a message if you're interested in any of her items but want it to be slightly different. Definitely have a look at Dorothea's shop. Everything is handmade in Wales so it'd be great to support a British business that is trying its best to be kind to the planet!